All of us have probably caught ourselves, from time to time, indulging in the guilty pleasure of gossiping more than we would like to admit. Someone says the words, “Don’t tell this to anyone…” and moments later, our heart sinks as we realize that we won’t be able to resist passing on the information to someone else—with the exact same caveat. We all know we shouldn’t talk behind someone’s back, so why do we give in to these little temptations? Gossip is the sharing of personal or private, sensational information about someone who is not present. It’s often negative and embarrassing for the person being spoken of. Gossip is often negative and embarrassing for the person being spoken of. Gossip has some characteristics that stand out immediately. First, gossip is an activity that is done with other people; we can’t do it alone or merely in our head. Second, the information shared is always about someone who is not present in the conversation, or about someone whom we believe to be absent. By definition, it’s done behind someone’s back. Third, when we gossip, we not only share facts or rumors, but also make some implicit judgments about the person. So why do we love to gossip? Our hunger for gossip feels insatiable. Whether it is with our family members, friends, at the workplace, or about our favorite celebrities, most of our conversations include gossip of some form. We enjoy listening to gossip as much as we like to spread it. In fact, a study suggests that we are highly influenced by gossip, even when it is clearly identified as untrue. Verbally marking information untrustworthy with weak qualifiers such as ‘apparently’ or ‘allegedly’ does little to prevent prejudgments and defamation. This is because we judge people on a strongly emotional basis, even if we know that this judgment is based on unreliable evidence. 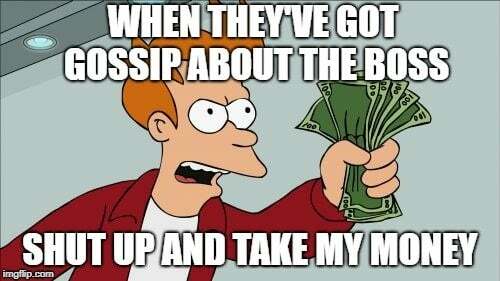 Gossiping is a fun thing to do! Getting together and whispering about someone creates a kind of bond and a sense of oneness among people—even strangers. Two people who don’t know each other will instantly feel closer when they share something mean or funny about a third person. It can be seen as a confirmation of a shared evaluative view of the world. Our judgment of the world seems to be validated when our gossip meets curious or willing ears. It also gives us a sense of knowledge about another person’s life. What’s more, the information we have is usually something we’re not actually supposed to have; it is a secret, a forbidden fruit, which is inherently thrilling. It also gives us a feeling of superiority over the people about whom we are gossiping. 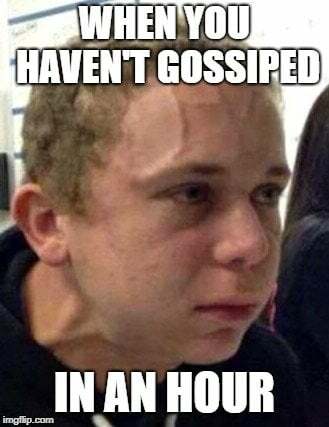 Gossiping allows people to indirectly participate in worlds that might otherwise be closed to them; at times, it gives an illusion of some control and influence over those worlds. This explains why people gossip about the rich and famous and take so much interest in their lifestyles and personal lives. This also justifies why employees gossip about their bosses or superiors in the workplace. It gives them a feeling of participation in their world and an illusion of control in their work situation. We also gossip to warn others about unsavory characters or someone that we perceive to be dangerous. A study found that during a certain game, the heart rates of volunteers increased when they saw someone behaving badly or unfairly, but this increase considerably toned down when they were able to pass this information on to others. When we see someone behave in an immoral way, we become frustrated. Passing on the gossip gives us the satisfaction of having warned our friends and reduces our frustration. 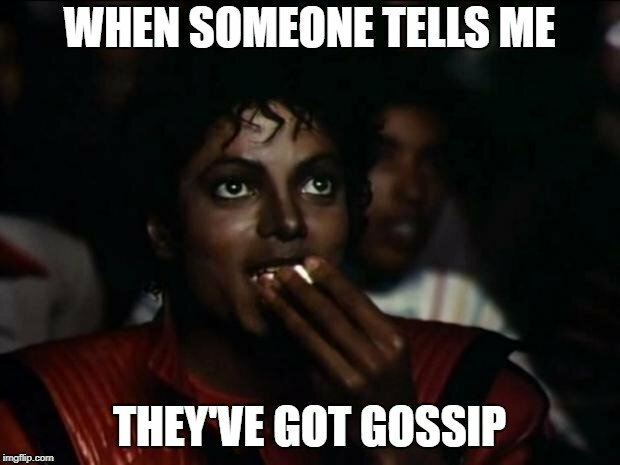 Is gossiping good or bad? Gossip is typically seen as negative, malicious and destructive. 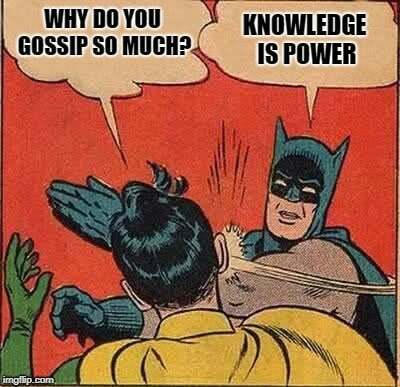 To engage in gossip is now equivalent to speaking ill of one’s companions and disturbing the smooth functioning of society. However, it originally did not have the same meaning. 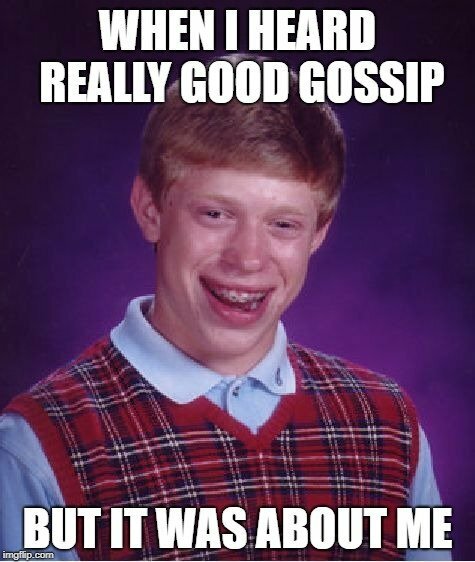 The term ‘gossip’ originates from ‘god-sibbs’, referring to godparents, implying speech that one has with an especially close group of peers, the equivalent of godparents. 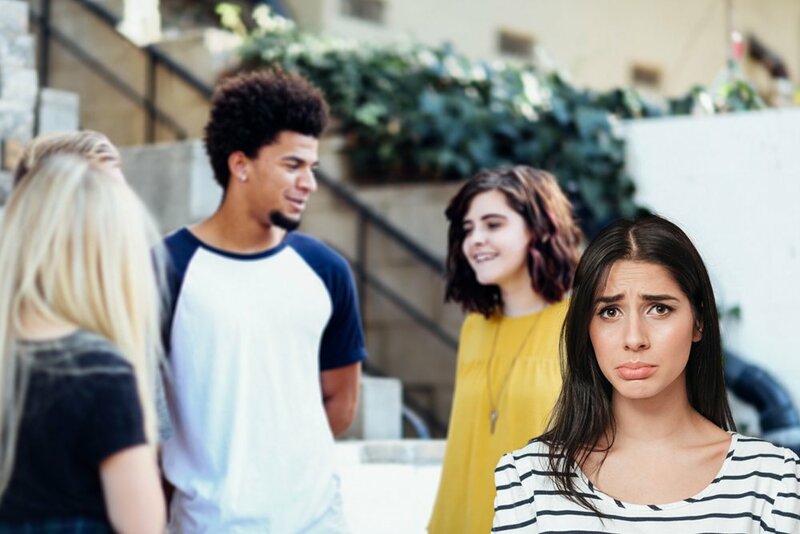 Gossip evolved as a tool for bonding large social groups by allowing people to exchange information about the changes occurring in their social groups. It allowed people to catch up on the lives of their relatives and friends and learn about their marriages, separations, new additions to the family, successes and failures. We could talk to Aunt Jane and learn that our cousin Susan had broken up with her partner, thus avoiding any embarrassing faux pas when we next met Susan. One reason why gossip has acquired such a negative coloring is because it’s often used to slander people of whom one disapproves. We are left unable to differentiate between genuine information and convenient misrepresentations. It would be extremely inefficient to look at everyone we meet with suspicious eyes; we would have to give up a lot of time, energy and peace of mind to ensure we never get exploited. Groups often indirectly create rules about how individuals must behave in certain situations by implying a direct consequence for breaking said rules. Individuals will conform to group norms to avoid the embarrassing consequences of being the target of gossip. While this can be a good thing, as it controls those who fail to abide by the formal and informal agreements that underpin society, it can quickly become toxic in the presence of trolls and shamers. Gossiping can get awkward, lead to distrust, and turn bitter when we realize that one who gossips with us is also capable of gossiping about us. 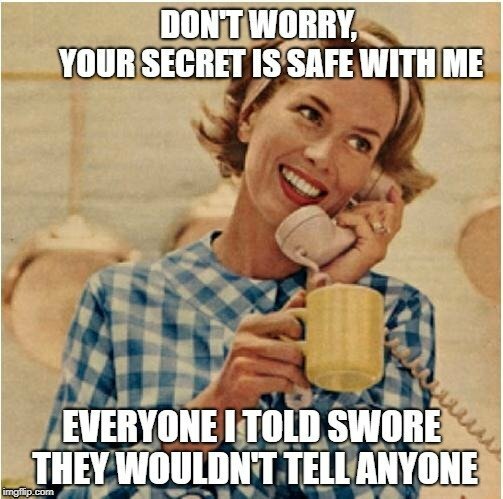 The air of suspicion around the gossiper prevents the possibility of a lasting connection with them, since we don’t feel safe trusting them with our secrets. In addition to this, it leaves the victim helpless, bitter and with diminished self-esteem. 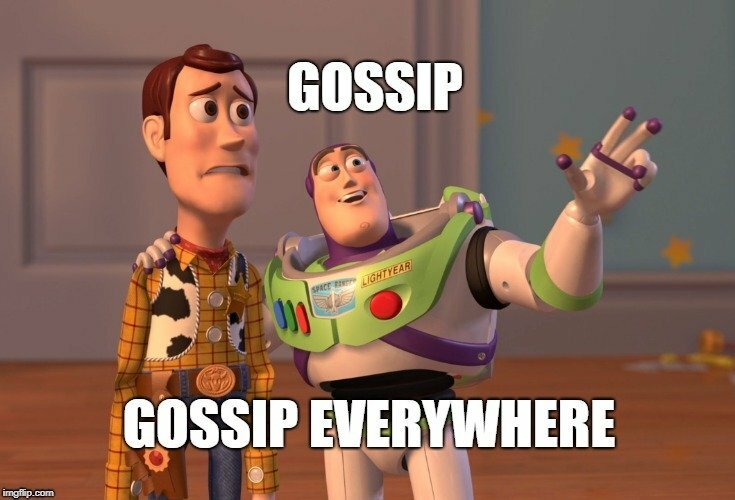 The person who is being gossiped about is excluded from the conversation, but is usually in the best position to defend himself and has the greatest interest in doing so. This leads us to suspect that the gossiper is often not interested in finding out the truth. Gossiping may be fun, but whether it is good or bad depends on the intent of the person leaning over to whisper in your ear!